Buffalo Sabres fans need to face the truth. On one hand, they complain about how bad the team is – which they are – with a 19-33-11 record. On the other hand, they’re steaming mad that their rookie general manager, Jason Botterill, couldn’t get a decent return for even one of their sorry players before the trade deadline. It’s not as if general managers were lining up to pluck players from arguably the worst roster this franchise has ever seen. Castoffs and overpaid misfits are not trending assets. Contrary to what many believe, Botterill, an MBA grad, didn’t get schooled yesterday. 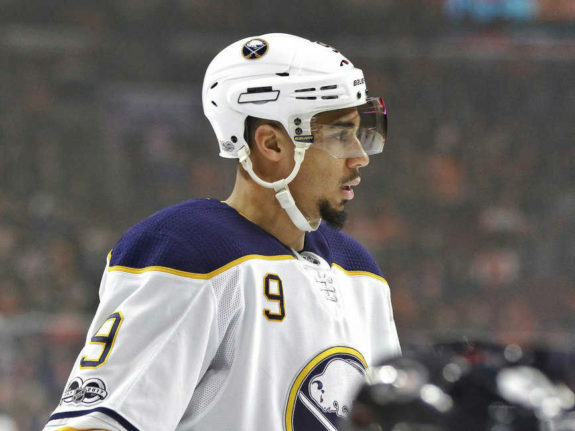 Although on the surface it appears he squandered his best trade chip in the first deadline deal of his career, the reality is the market determined Evander Kane’s worth. The Sabres had no intention of re-signing Kane and Kane had no interest in committing to the Sabres. Botterill had little leverage and other general managers knew it. Whether it was Kane’s recent diminished production or off-ice issues that he believes he’s put behind him, there simply wasn’t much interest in the left winger. According to Botterill, there was only one legitimate offer for Kane and he took it. Is it a coincidence that nary a teammate has tweeted they’d miss him and wished him ‘best of luck in San Jose’? There’s credence to the speculation that he’s not well-liked in the locker room. The San Jose Sharks’ first-round pick in 2019 if the Sharks win the Stanley Cup in 2018 or Kane re-signs with the team, otherwise, it’s a 2019 second round pick. San Jose’s fourth-rounder in 2019 or a third-rounder in 2020, whichever the Sharks prefer. Danny O’Regan, a 24-year-old former teammate of Jack Eichel’s at Boston University. He has 83 points in 94 AHL games and will likely be in Rochester through next year. 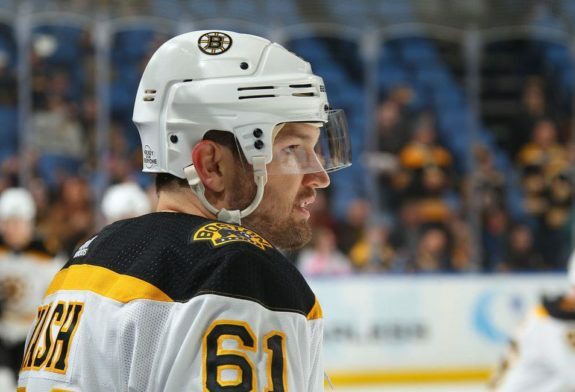 Compared to The New York Rangers’ massive haul for rental winger Rick Nash, Botterill received little substance for Kane. Nash fetched the Rangers a first-round pick, an NHL player, a prospect, a minor-league player and another pick. Nash has averaged 29 goals-per-year for 15 years. Kane is a three-time, 20-goal man. Nash has scored over 55 points ten times, often climbing into the upper 60s. Kane has scored over 45 points once. Nash plays on the first PP unit and usually kills penalties. Kane hasn’t yet learned what ‘defense’ means. Nash has 41 points in 77 playoff games. Kane has yet to play in a playoff game. To expect a team to pay the same price for Kane as another did for Nash is not reasonable. More than 550 games into his nine-season career, Kane may play his first playoff game this season with the Sharks who are second in the Pacific Division. “Evander is one of the top young power forwards in the NHL. He’s a dynamic player who has a unique combination of size, grit, speed and goal-scoring ability. We wanted to add a player that could help this team but also was just hitting his prime,” said Sharks general manager Doug Wilson. There was no market for goaltenders; not one was traded, league-wide. There were no nibbles for Chad Johnson or Robin Lehner. 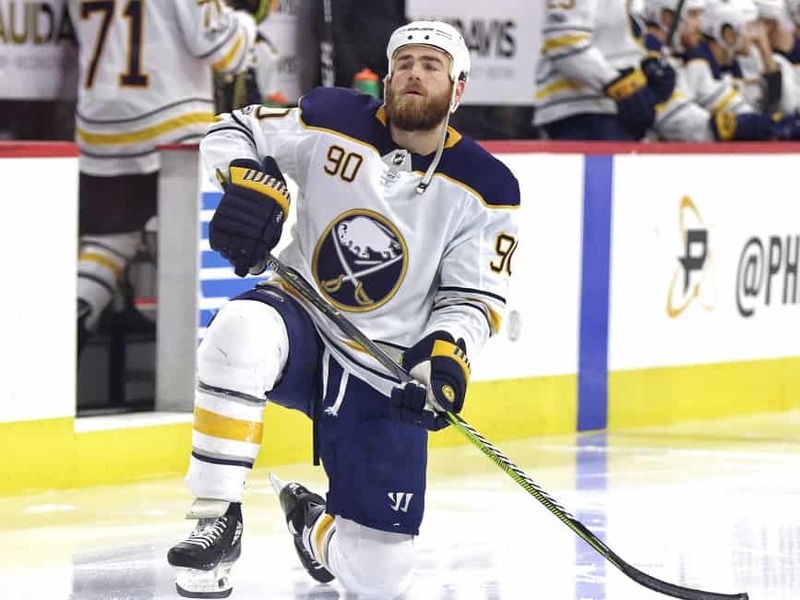 A few general managers made offers for other Sabres players but the value was not up to snuff according to Botterill. At the press conference, Botterill looked nervous, sounded a bit frazzled, and came across as very frustrated. He was defeated. Maybe it was the realization that he’s in this all alone. He’s going to have to complete the rebuilding project in Buffalo without any help from other teams or general managers. He’s the starving farmer with nothing but lint in his pockets; he’ll have to work his fields for quite some time before he can feed his family. Botterill showed some fire when asked about his door slamming moment a few weeks ago. The whole room knew it was a 7-1 no-show against the Dallas Stars. Botterill inherited Tim Murray’s mess which included some ugly salary cap numbers. The list of overpaid players and misused draft capital is long. But, make no bones about it, JBotts has also created a list of his own. He wants a fast, high-scoring team but instead has a slow, almost lethargic one. A total of 10 new players were brought in by Botterill to start the season. The effort was there but it didn’t work. If Kane was indeed the problem child in the dressing room, that excuse just departed for San Jose. Much of the remaining team needs to be gutted, blown up and smashed to smithereens. Salvageable pieces on defense include Rasmus Ristolainen, Victor Antipin and Marco Scandella. Zach Bogosian and Jake McCabe are on the bubble. A little Lady Luck from a combination of ping-pong balls could help, too. The majority of deadline deals that spark anything of substance are those that are done by playoff contending teams trying to add to their playoff fortunes. Struggling teams can hardly solve their shortfalls at the trade deadline. The key here is the offseason: free agency and the draft where struggling teams have more room to deal. 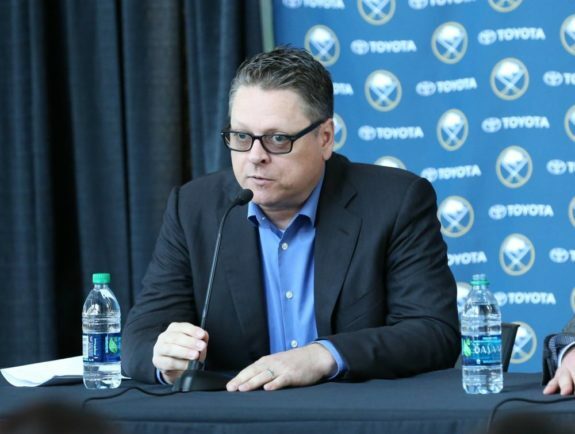 Unlike Darcy Regier and Tim Murray, Botterill has been true to his word, using Rochester as a place to groom talent for the NHL. He’s treated the farm team as an important cog in the franchise’s system. 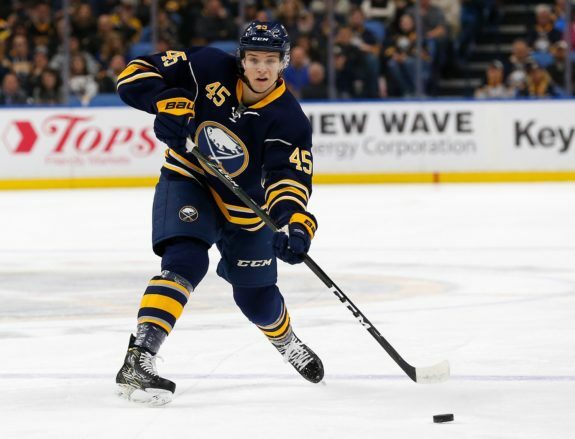 The best hope for a new beginning comes with players like Brendan Guhle, Casey Nelson, Casey Mittelstadt, C.J. Smith and Linus Ullmark. Botterill needs to swoop in and win over a few undrafted college free agents. As college conference tournaments end, he needs to attract players to continue the flow of fresh blood to add depth in Rochester. 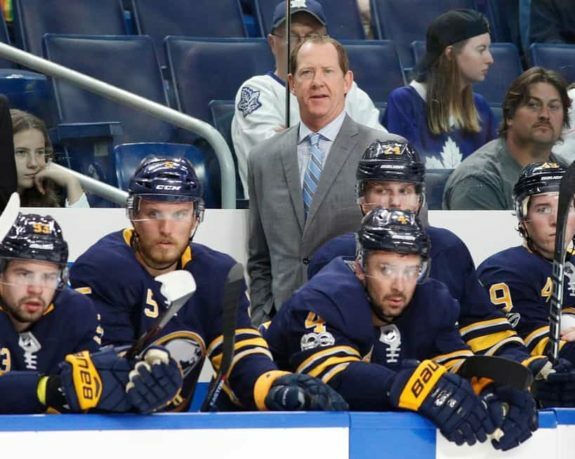 The sad truth is Botterill and Housley joined the same mess that has faced each Sabres general manager and coach pair for the last bunch of years. Really, with the exception of picking up Jack Eichel, they are starting at the bottom of the league and have started there every year. So, while time is needed, the fans are rightly exasperated that there has been no progress. Fans, like in Toronto, are willing to accept two or three years of lousy results if it means getting back into contention. But going through five or six or seven years of lousy results and yet having circled back to the same starting point has disheartened even the most avid supporter. Fan frustration defaults to the current general manager and coach with the unrealistic expectation that they can wave a magic wand for an instant fix; thrusting the weight of nearly a dozen years without a playoff series at their feet. The reality is, change takes time and Botterill has vowed to make many of them. For now, fans and the media need to cut him some slack. A revolving door of front office personnel is a recipe for disaster in any sport. 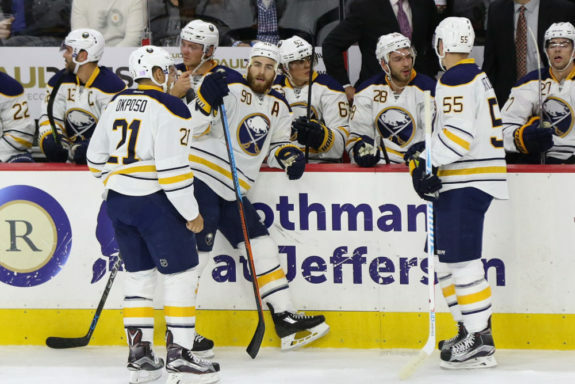 One member of the Buffalo media went so far as to suggest the team is stealth tanking. Shame on you. Sabres fans should embrace their pissed off general manager rather than the brash, arrogant one that produced no results. 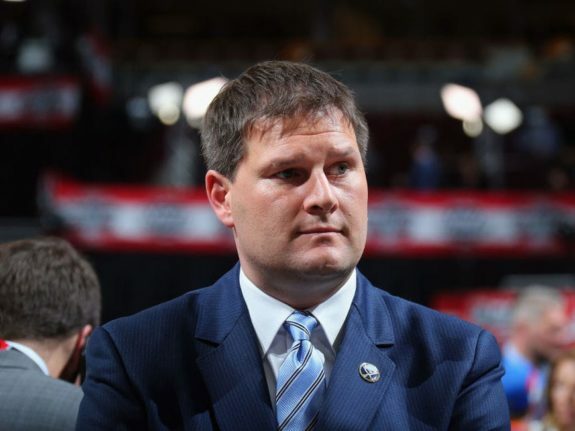 Botterill and Housley likely have at least a year or two to prove themselves. Sadly, what Botterill needed most couldn’t be bought at the deadline: time to right the ship. There’s no timeline for improvement. “It’s important that we’re not looking to say, ‘Hey, in three years we’re going to be competitive,’” Botterill said. “It’s important that we go through a process here so year in, year out, we have a good team.